Helen joined IAEA in May 2014 as the Senior Nuclear Safety Officer within the Operational Safety Section in the IAEA’s Department of Nuclear Safety and Security. She is responsible for the overall development and coordination of the IAEA’s safety standards and guidance in the area of Leadership and Management for Safety, including Culture for Safety, ensuring a consistent approach across the disciplines of safety and security. She acts as the lead for the development and execution of safety review missions in the area of safety culture, assessing how IAEA Member States implement the safety standards and offering recommendations and suggestions on how to improve performance. Helen has degrees in engineering, psychology and an MBA and has worked in the area of Human Performance and Organisational Factors in the Nuclear Industry since the 1980s, using and developing assessment and improvement methods for different types of nuclear and radiological facilities including NPPs, Fuel manufacture, fuel cycle, laboratories and research facilities, and latterly in closure and decommissioning of 10 Magnox NPP sites. She has worked in the industry developing Safety Culture assessment and intervention methods to improve Organisations in their approach to safety within their business. She has carried out investigations into major events with a focus on leadership behaviours and decision making, and organisational factors that led to the accidents. Her experience ranges from quantitative and qualitative analysis of human reliability within tasks, management systems, and equipment /process interfaces, and the liaison with government and regulatory bodies. She has worked for the Director teams of international Nuclear Organisations and her duties included advice on strategic programmes and governance for maintaining EHS standards in a commercial environment; Leadership development; good practice sharing; and knowledge management. 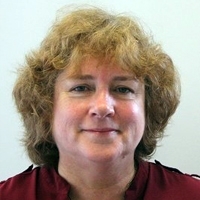 She worked for the UK BNFL and Magnox Ltd corporate EHSS&Q departments where she was the Head of Profession for Organisational learning and Human Factors and acted as the ‘Intelligent Customer’ for the companies in matters associated with contractor services.